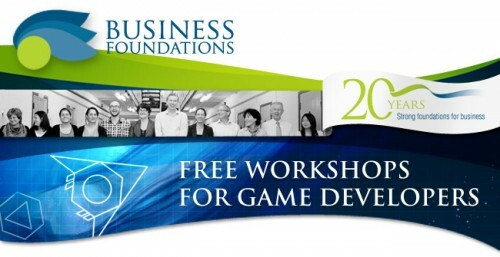 Following on from their successful workshop last year, Business Foundations have two new FREE workshops for game developers in Perth. A Business Planning & Strategy workshop is being held on Friday 24th May, between 8:30am and 12:00pm, and the Marketing workshop is on Wednesday June 12th, from 1:30pm to 5:00pm. Both workshops are being hosted at Spacecubed on St George’s Terrace, and more details and booking links can be found below. Seats are limited, so book early! Booking: Bookings can be made via this website. Jane Garrett is a seasoned business professional with many years’ experience in technology company management. She has a degree in Physics and spent many years as an employee learning the ‘ropes’ before embarking on developing her own Internet software business which she floated on London’s AIM in July 2000. Greg is a senior executive with 30-plus years of experience and the CEO of an Investment Management business focussed on emerging technology-based business incorporating investment identification, deal structuring, business development and exit management. The dominant theme in Greg’s career to-date has been ‘bridging the gap’ between technology and other ‘enabling’ practices from marketing, organisational change, human resources and financial disciplines. Graduate Australian Institute of Company Directors, NIES National Enterprise Workshop, B Bus Marketing and Communications Justin Davies is the Managing Director of Emergination – a consultancy focussed on applying emerging technologies and ideas, coupled with imagination to create value for businesses. He currently works with a range of private sector clients in growth industries.